The conference we spoke at in Bursa, Turkey was organized to help educate veterinarians from all over the country who work in animal shelters. Turkey has a huge problem with free-roaming dogs and cats and the country is struggling with ways to manage the problem. No one knows how many street cats and dogs there are in Turkey. One estimate is that in Istanbul, a city of 11.3 million people, there are at least 150,000 free-roaming dogs. 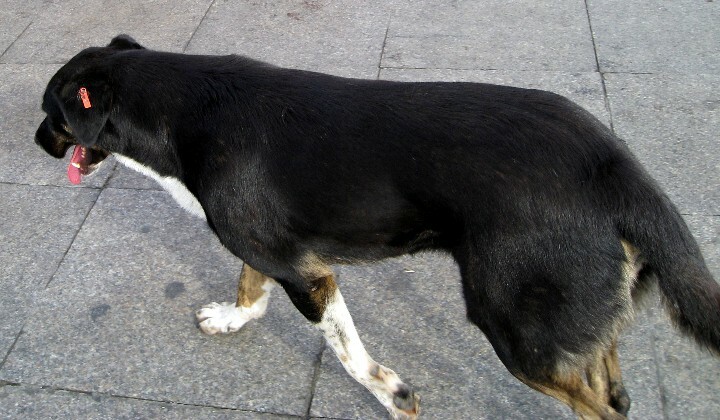 Rabies is endemic in Turkish dogs and every year there are a small number of people who die from the bites of rabid dogs. The Turkish federal government passed a law a few years ago requiring cities to control the roaming dogs. But as in America, few cities have all the resources they need to effectively control the loose animals. Furthermore, Turks are very much against euthanasia of dogs and cats for “population control”. This is in contrast to the U.S. where there has been very little tolerance of free-roaming dogs and where euthanasia of healthy but unwanted dogs has been a common, although controversial, public health policy for at least 50 years. This is changing in the U.S. today as the numbers of free-roaming dogs has declined and as public sentiment about euthanasia of unowned dogs has evolved. The strategy being tried in Turkey is trap-spay/neuter-vaccinate/treat and release. Free-roaming dogs are picked up off the streets and taken to local shelters where they are spayed or neutered, vaccinated for rabies and other diseases, treated for minor illnesses, ear-tagged for identification, and then released back to the neighborhood where they were trapped. You can see one of the tagged street dogs in the photograph below. It is hoped that the populations of free-roaming dogs will decline because they are not breeding and the small populations that are left will be healthier and will not present a public health hazard. This is based on the assumption that the majority of the free-roaming dogs come from the breeding of other free-roaming dogs, and not from owned dogs that escaped, or were dumped by their owners. Because population demographics are unavailable (e.g. 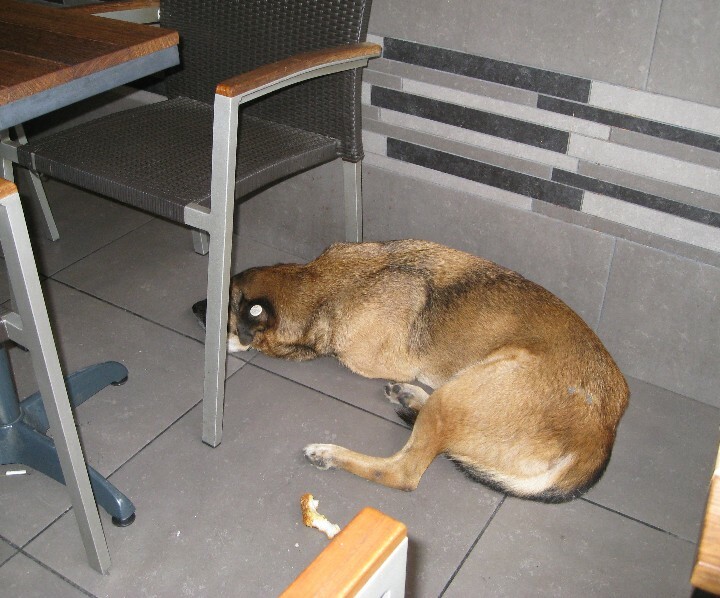 no one knows where the street dogs come from) it is unclear if the Turkish strategy will be effective. We’ll have to wait and see. What we learned from the conference is that control of free-roaming dogs and cats is a world-wide problem and that there is no one best strategy for dealing them. Beyond pragmatic and scientific considerations, cultural heritage and ethical beliefs must be taken into consideration. These will influence the ways different peoples address their animal problems. The TNR program would be great if all were actually done and not just tagged. I say this from experience as I am one of the Founders for RWB a non-profit animal rescue who saves the landfill and street dogs from Corum, Bursa, Istanbul and Izmir. We pull them, vet them, board them and fly them here to forever homes. Many females who had an ear tag were not spayed. Or some who were spayed had their insides cut in half and left in, which resulted in so many medical problems. It is truly sad that these dogs die from starvation, freezing or disease. As they are wonderful dogs, I have 4 in my home right now in Texas. In some area’s of Turkey you will find Food on the side roads for cats and dogs. But this is ofcourse not the case in every area which means that some of these animals need to hunt on their own partly or entirely. So there are wild cats/dogs being fed and there are others which are not fed at all and need to hunt and search by their own.